Haack is a graduate of the University of Oxford and the University of Cambridge. At Oxford, she studied at St. Hilda's College, where her first philosophy teacher was Jean Austin, the widow of J. L. Austin. She studied Plato with Gilbert Ryle and logic with Michael Dummett. David Pears supervised her B.Phil. dissertation on ambiguity. At Cambridge, she wrote her Ph.D. under the supervision of Timothy Smiley. She held the positions of Fellow of New Hall, Cambridge and professor of philosophy at the University of Warwick before taking her current position at the University of Miami. Haack's major contribution to philosophy, in the 1993 book Evidence and Inquiry is her epistemological theory called foundherentism, which is her attempt to avoid Haack is a graduate of the University of Oxford and the University of Cambridge. At Oxford, she studied at St. Hilda's College, where her first philosophy teacher was Jean Austin, the widow of J. L. Austin. 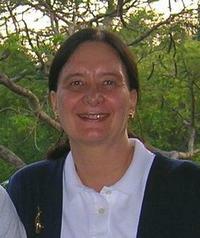 Haack's major contribution to philosophy, in the 1993 book Evidence and Inquiry is her epistemological theory called foundherentism, which is her attempt to avoid the logical problems of both pure foundationalism (which is susceptible to infinite regress) and pure coherentism (which is susceptible to circularity). She illustrates this idea with the metaphor of the crossword puzzle. A highly simplified version of this proceeds as follows: Finding an answer using a clue is analogous to a foundational source (grounded in empirical evidence). Making sure that the interlocking words are mutually sensible is analogous to justification through coherence. Both are necessary components in the justification of knowledge. At least one scholar has claimed that Haack's foundherentism collapses into foundationalism upon further inspection. Haack has been a fierce critic of Richard Rorty. She wrote a play, We Pragmatists ...: Peirce and Rorty in Conversation, consisting entirely of quotes from both philosophers. She performed the role of Peirce. Haack published a vigorous essay in the New Criterion, taking strong exception to many of Rorty's views, especially his claim to be a sort of pragmatist. Haack (1998) is highly critical of the view that there is a feminine perspective on logic and scientific truth. She holds that many feminist critiques of science and philosophy are overly concerned with 'political correctness'. She has written for Free Inquiry magazine and the Council for Secular Humanism. Haack's work has been reviewed and cited in the popular press, such as The Times Literary Supplement as well as in academic journals. Susan Haack isn't a Goodreads Author (yet), but she does have a blog, so here are some recent posts imported from her feed. Susan Haack hasn't written any blog posts yet.